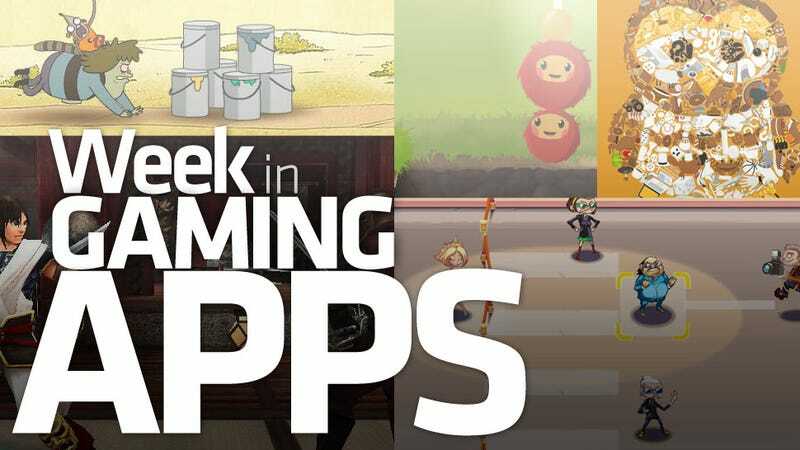 How Many of This Week's Gaming Apps Have You Played? There are 16 games in this week's gaming app round up. Nine of them represent nifty titles we played but didn't have time to showcase this week. Seven received a full reckoning, thanks to our new app reviews. I've played each and every one of them. How about you? If you had told me ten years ago I would play 16 games in one week, I would likely have been confused and disoriented. Who are you, and why are you telling me this? The butterfly effect would then kick in, and this entire article would never have happened. You negated everything. Time travel is a responsibility, dammit. But yes, I would have been skeptical. Happy, but skeptical. Of course these 16 aren't the only mobile games I've played this week. And then there's Ni No Kuni, which I've been slowly getting into. When I took the Kotaku mobile editor position I figured it would be a nice relaxing position. If only you hadn't ruined time travel for everyone I'd go warm myself. Thanks. Think Plants Vs. Zombies, only with an actress in a bikini transforming her fans into thugs that beat up innocent photographers. Oh the humanity! A gorgeous reverse defense game that casts you as a prince trying to reclaim his kingdom. Quite fun. Your eyes will kill you after an hour with this devious color-coded hidden object puzzle game. I love it, but it hurts. Polarbits' top-selling combat racer for Windows Phone makes the move to iOS. It's like FarmVille, only a laser-focused FarmVille. Shear entertainment. Shear. Hahahaha. It's like a running Fruit Ninja, only without the fruit. The raccoon from The Regular Show in an endless / stage-based running, jumping, ducking extravaganza. It's okay, though a little light on content. A game about fishing for small fuzzy balls in dark holes using the winch on a pirate airship. Challenging, fun, and a bit odd.